Home Tags Posts tagged with "video tutorial"
Holla people! Hope you all doing great and thanks for your visit! So, as you know that I am a nail art lover, but since very long I wasn’t able to publish any posts related to nail art. Earlier, I used to showcase pictorial in the blog post, but now I’ve slightly changed the outlook. As it is time consuming both my readers and me, I have now shortlisted that I will be sharing a simple nail art related post, wherein I will share the video tutorial with you all plus some of the pictures of the finished look. Don’t worry, I know this post is getting little off-track and boring, so I will not bore you further. Let me jump on straight to the nail. Few weeks ago, I created a nail art and named it as ‘POINTED TRIANGLE NAIL ART’. Lol, it’s little weird but I guess it is a catchy name to use. Anyhoo, let me share the video tutorial with you so that you are able to achieve this cute nail art design. VIDEO TUTORIAL: Click on the video below to watch the video. This nail art design is really easy to do and trust me even if you are not good at nail art, still you can do this art on your nails. I did this nail art on 5 nails in almost 15 minutes. Make sure you use acrylic paint as it really cuts down to your hard work. I really hope you enjoyed reading this blog post and watching the nail art tutorial. 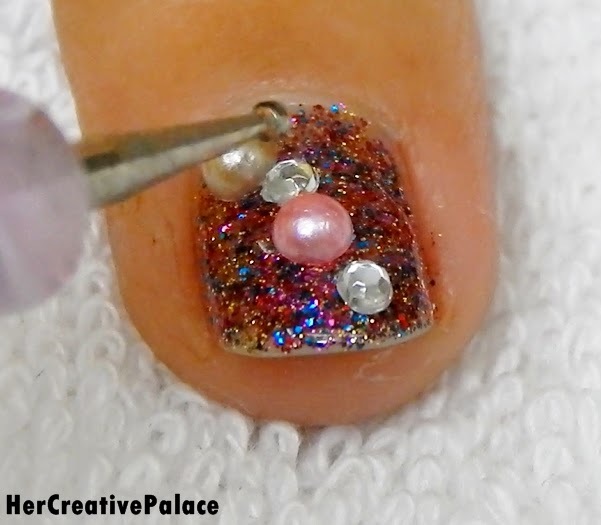 If you try out this nail art, do share your recreations on social networks using #hercreativepalace or #kanikasharma. I’d love to see them. Also, do share your views on this nail art design in the comments below. Funky Abstract Zig-Zag Nail Art! 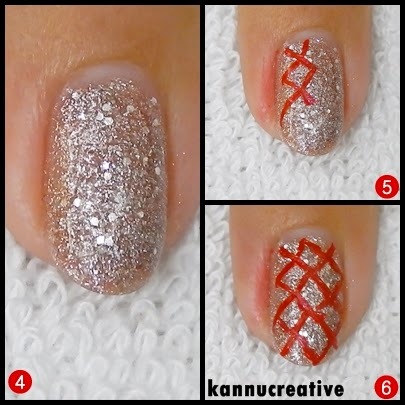 As a nail art lover, I always wanted to play with striping tapes. The striping tapes are too cute, adorable and easy to handle nail art decoration. But when I started working with them, it just made me irritated. It really made difficult for me to work with. But as it is said, practice makes a person perfect, I kept trying to experiment with them and finally I achieved something, phew. Rather than discussing my sad struggling story, let’s proceed. I hope you found this pictorial easy to achieve this design and try out this nail art design and flaunt your beauty via nails. If you decide to try out any of my nail art designs, do share your recreations with me on social networks using #hercreativepalace, I would love to see your recreations. Some pictures of the finished look. hope you liked it. Have a nice day. And today I’m back with another cute nail art design on the blog. I’m using water decals from born pretty store. You must be very well aware of this company by now. The water decals of BPS are just so gorgeous that I can’t get enough of using them and flaunting the beauty of my nails. I’ll be reviewing the decals very soon on my blog. Also now I’ll be regularly reviewing the nail art decorations too on my blog. it will be fun to share my love for nail art decorations experience with all of you. Jumping back to this blog post, let us proceed further. Today’s nail art is very simply to work with. I created this nail art design for beginners as many of the beginners requested me to create some simple nail art designs to start on with nail art journey. So let’s have a look at this nail art design. Hey everyone, I hope you doing great and thanks for your visit! As we all know, for us, the Indians March is the month which we call as month of colors as we celebrate ‘Holi’ (I know it’s too late). So from that festival I got an idea to try out some colorful nail art. And I came up with this nail art design. Apply a layer of top coat and done! Hey guys!! I hope you all doing great and thanks for your visit! Finally I’m trying to be regular in uploading some nail art too on my blog and YouTube channel. And today’s nail art is easy, fun and perfect for beginners. I had never tried leopard print, so thought to give it a try. This is for the first time that I’ll be doing any animal print nail art, I tried tiger print but ended up with an abstract one, lol. Anyway, let’s move on with the tutorial. Apply good amount of top coat and done! Hey loves, I hope you all doing great and thanks for your visit!! As we all know that spring season is here, so I decided to welcome this spring season with a nail art. So here is the look I came up with! Apply generous amount of top coat and done!! Hi everyone, hope you are doing great and thanks for your visit!! I created this nail art just randomly, there was nothing particular going on in my mind. Well, if you guys don’t know, I’m a lover, pure lover of water. I just love drinking water and I can’t mention here that in a day, how many glasses of water I drink. LOL!! Well!! Keeping this aside, let’s get on with the nail art! Add a layer of final top coat and done!! Happy New Year 2015 Nail Art!!!! Hey lovelies!! Hope you doing great! Thanks for your visit! 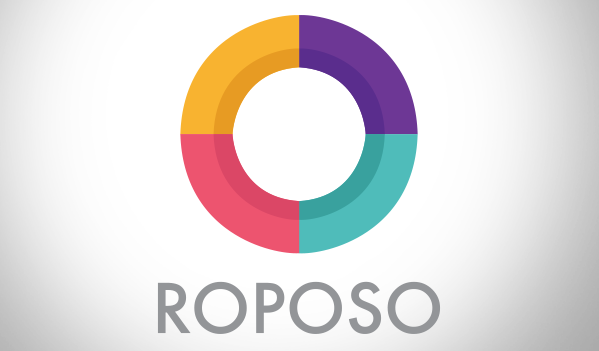 We have already crossed almost 3 months of 2015, how time flies, isn’t it? 2014 had been a great journey!! And I really want to thank each one of you for supporting, loving, appreciating and reading/ viewing my blog and YouTube channel. It’s all possible because of you guys!! I love you all so much. And I know I’m publishing this post very late as a lot of things is going on in my life and the winters made me so lazy. Phew!! Anyways, today I’m gonna share a fun and easy Happy New Year’s Eve Party Nail Art design with all of you!! I think till the time this year is travelling with us, everyday will be called as Happy New Year 2015. Hey loves! I hope you all doing great and thanks for stopping by!! In India, there is always one or the other festival going on and we always love to wear golds, reds and glitters, be it clothes, jewelry or accessories or anything else. As Indian wedding season was here and will always be on, so I created a fun and easy nail art design for all the would be brides. 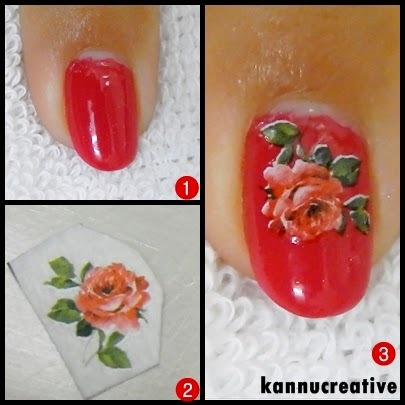 The brides can even wear this nail art on their first ‘Karva-chauth’ or any other festive occasion or family function. Apply generous amount of top coat and you are done! !